Hello! My name is Becky Shanks and I am grateful for the opportunity to connect. I am a Certified Clinical Hypnotherapist, Reiki Master and Intuitive Sound Healing Practitioner. 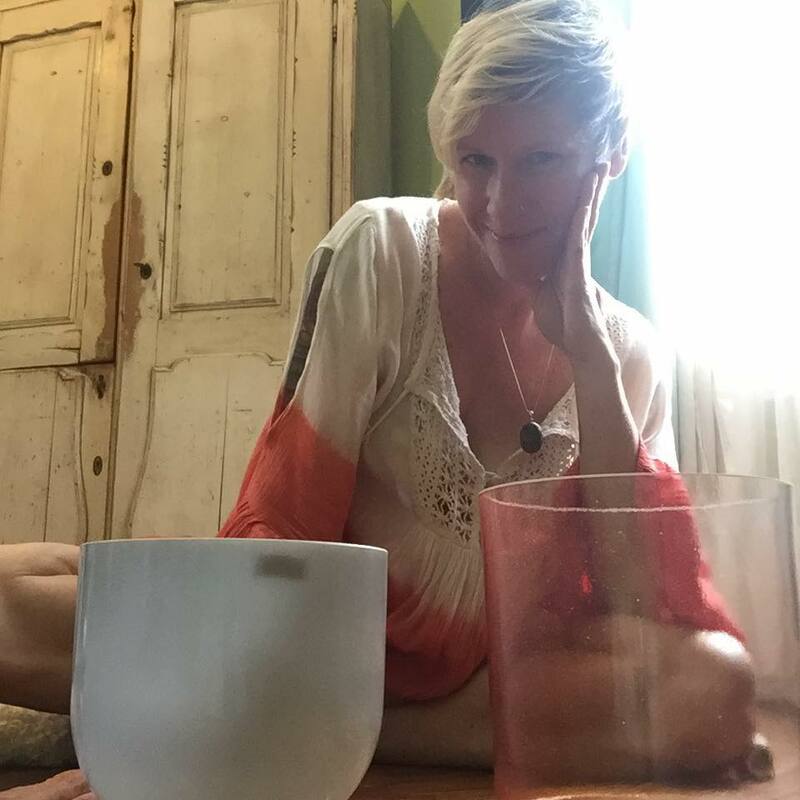 I identify as an Alchemical Hypnotherapist and Theta Healer, and incorporate Delores Cannon’s Quantum Healing Hypnosis Technique (QHHT), as well as sound healing technology -- crystal singing bowls -- into my hypnotic healing practice, Presents of Mind. Over six years ago, I used hypnosis to quit smoking cigarettes. When I came to full, waking consciousness, I thought to myself, “Huh… I could do that,” and I never smoked again. Six months later, I let go of binge drinking, recognized I wanted to help people and decided to go to hypnotherapy training… Six months after that in January 2014, I began studying hypnosis and regression therapy. I opened my practice a month later, as soon as I received certification stating I was qualified. I am also trained in medical hypnosis, but am by no means a doctor. I don't "treat" or 'heal;” I facilitate a process whereby, in applying the inherent, creative potential and power of mind, you empower yourself to heal. I'm like a mind renovator... a brain trainer, and pleased to serve Metro Atlanta in-person, as well as the Global Community via the www. With over 450-hours of clinical study and five years of professional hypnosis and energy healing practice, I am here to encourage and empower; to lead you deep into the core of your Being where possibilities are limitless. I am excited to share the tools that have enhanced my life and I am honored to walk beside; to gently guide you along at this most pivotal point in your journey. If you have questions about my practice, services, hypnosis, energy work, the power of sound; if you are curious if or how hypnotherapy can help you; if you are interested in holding sacred space for small groups, classes or ceremonies, please call 404.449.9266 or email Becky at PresentsOfMindHypnosis@gmail.com. I have LOTS of reviews on Google and Thumbtack.... below are tidbits shared by clients. "I had lingering fears and mental "junk" leftover from my first birth experience and was aspiring for a VBAC (vaginal birth after cesarean). Becky was very easy to talk to; it felt natural to share intimate details with her. She carefully tailored suggestions for my personalized hypnotherapy session during which I felt at ease, safe, and deeply relaxed. When we finished, I felt alert, happy, and confident. "I noticed a difference in my self-talk right away! I felt more confident, positive, and ready to take on my next labor and delivery experience. The hypnosis recording helped me remain calm and focused during my labor, which lasted a full 24-hours, and my son was born drug and IV-free via VBAC.